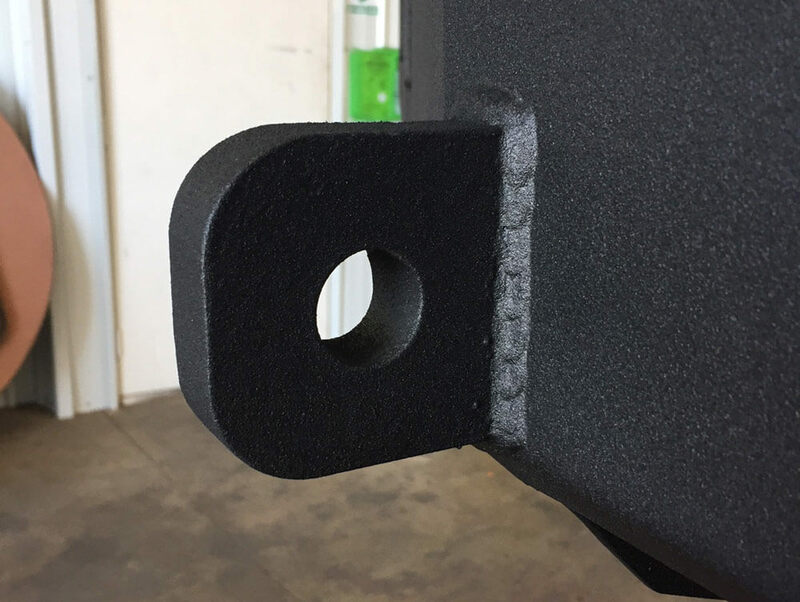 Since we don’t believe in the “Here is our bumper; take it or leave it” style of business, every MultiCarrier is fully configurable. 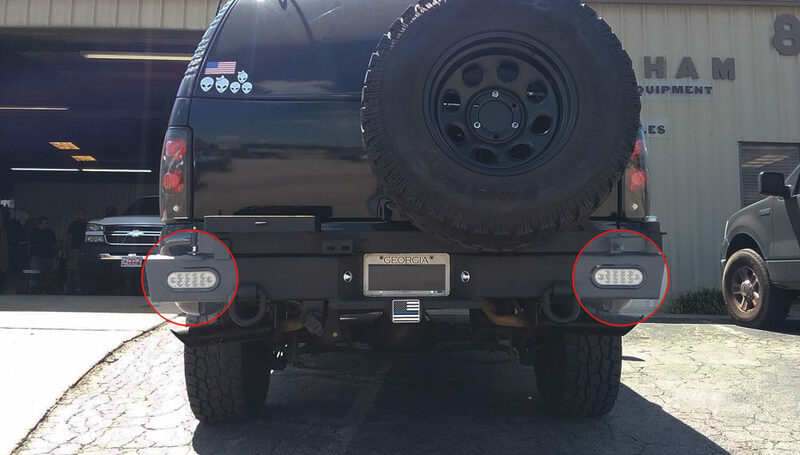 Therefore, every MultiCarrier starts out as just a basic bumper. 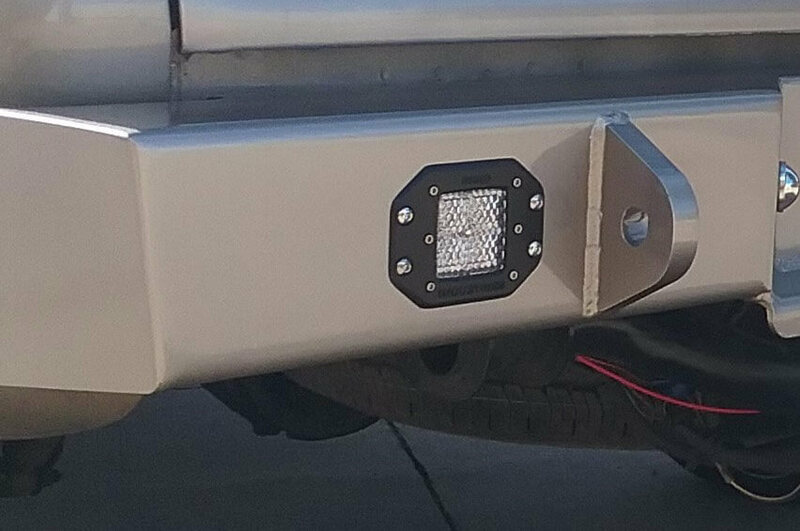 After you choose your bumper style, you may add a multitude of options, like paint / finish, CB antenna mount, jack carrier, tow points, lights, and more. 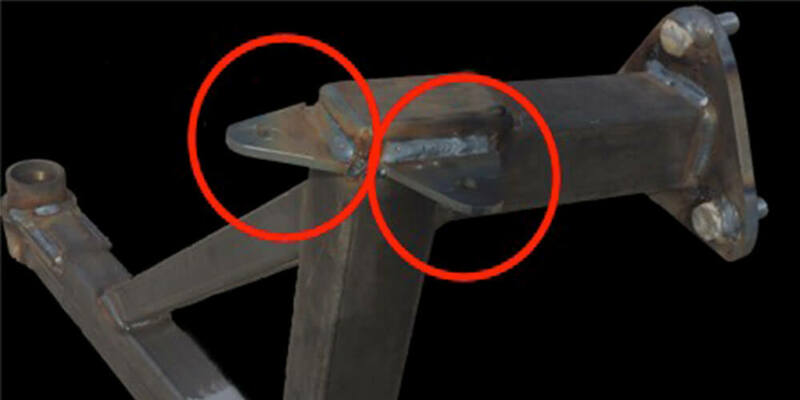 Is just that. 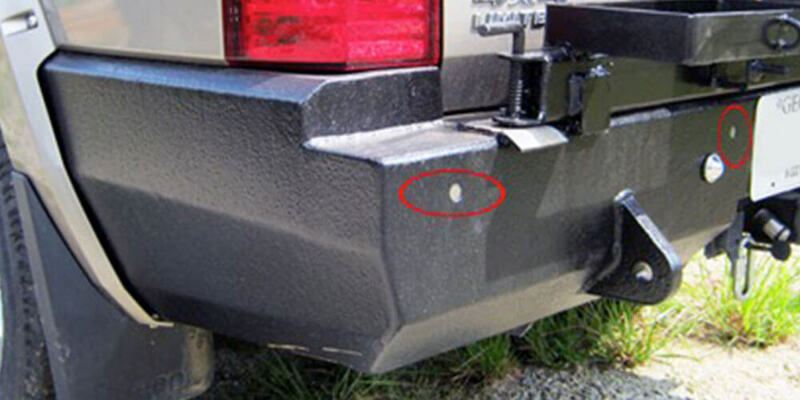 A heavy duty replacement bumper. 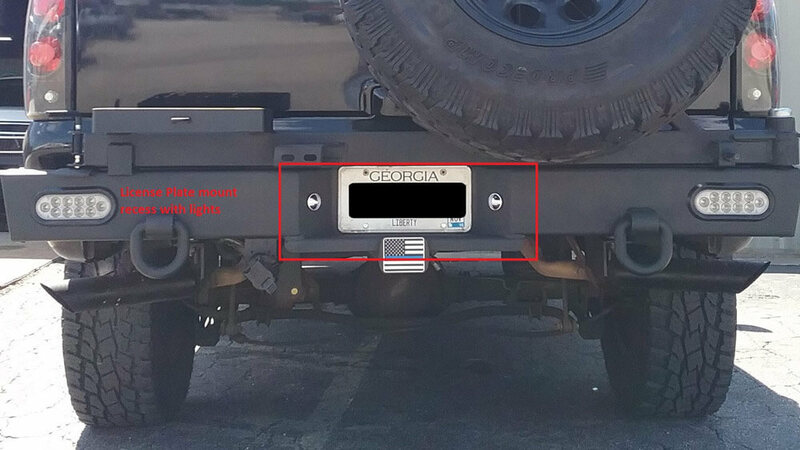 Shown with optional D-Rings (Two Points), Receiver Hitch, and Recessed License Plate Mount with lights. 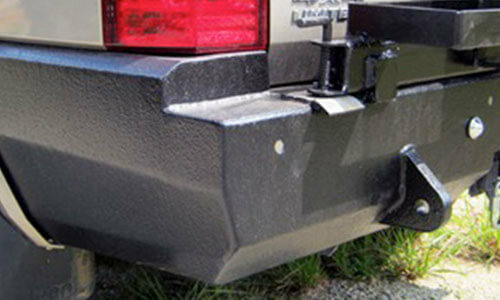 Is designed to carry a tire. 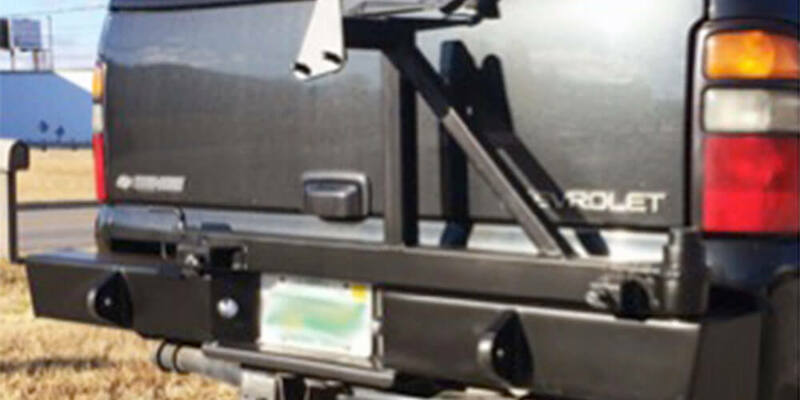 Mounted on the swing-away tire carrier. 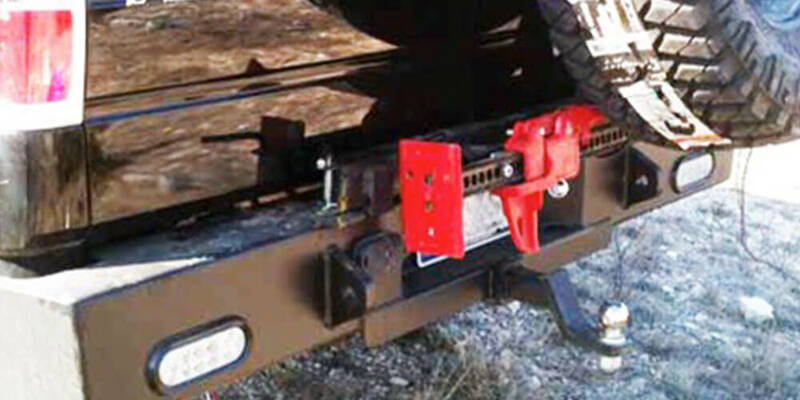 Has a swing away arm in addition to the swing away tire carrier. 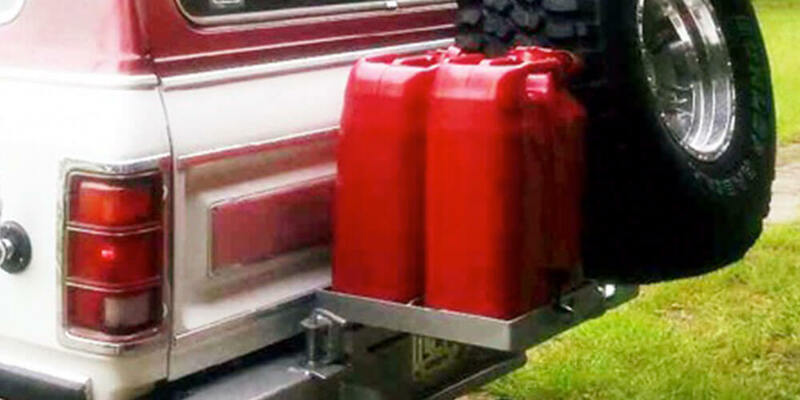 Shown with single gas can carrier. 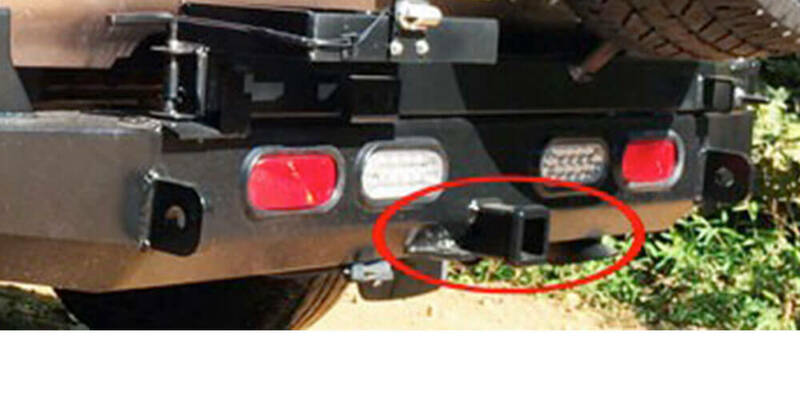 Has a swing away arm but no swing away tire carrier. 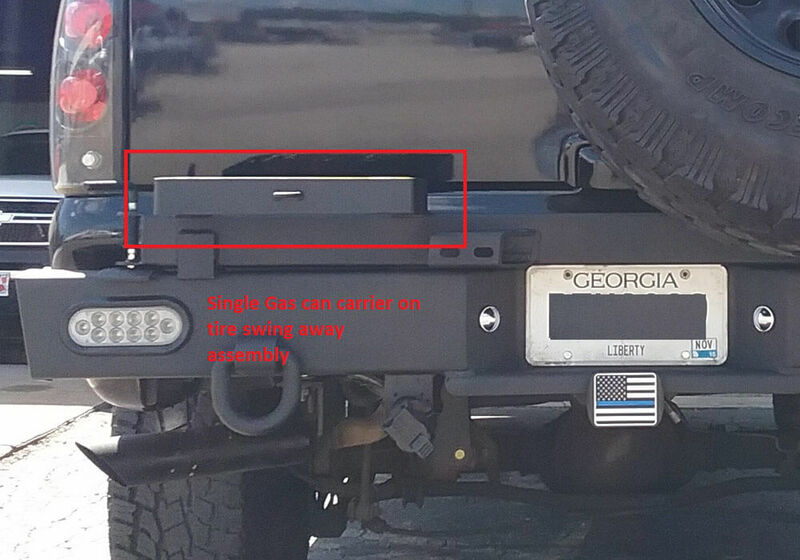 Shown with single gas can carrier. 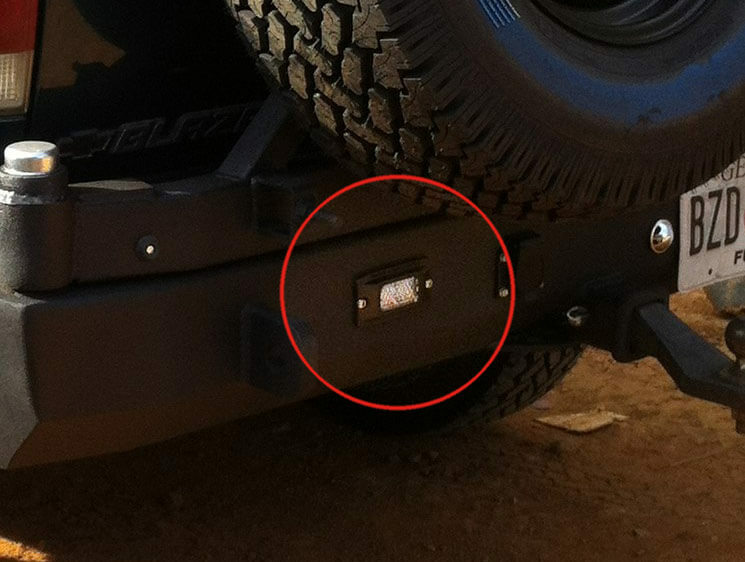 A non-removeable (and, thusly, very resistant to theft) swiveling tow point. 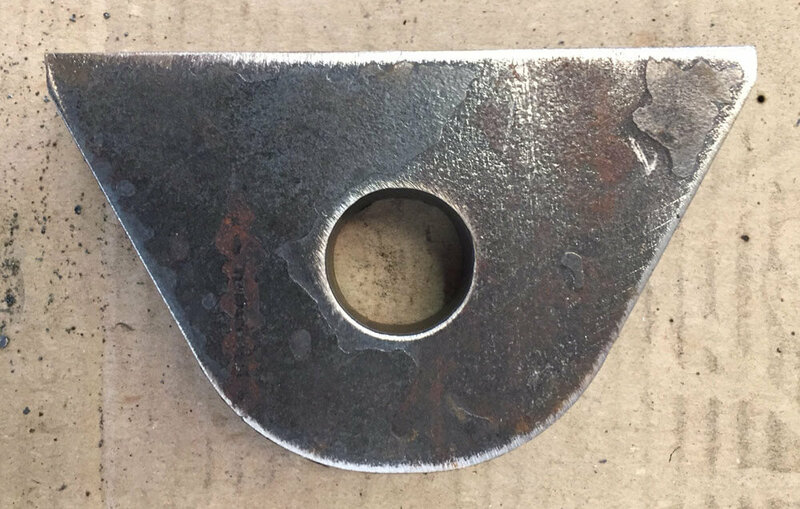 A “D” shaped eye with a nominal 1″ ID hole, 7/8″ thick. 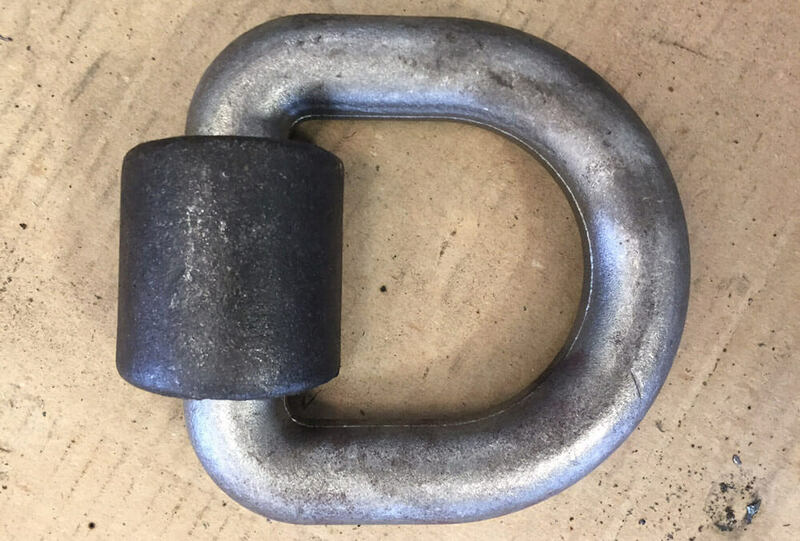 Designed to use with a 3/4″ screw pin type shackle. 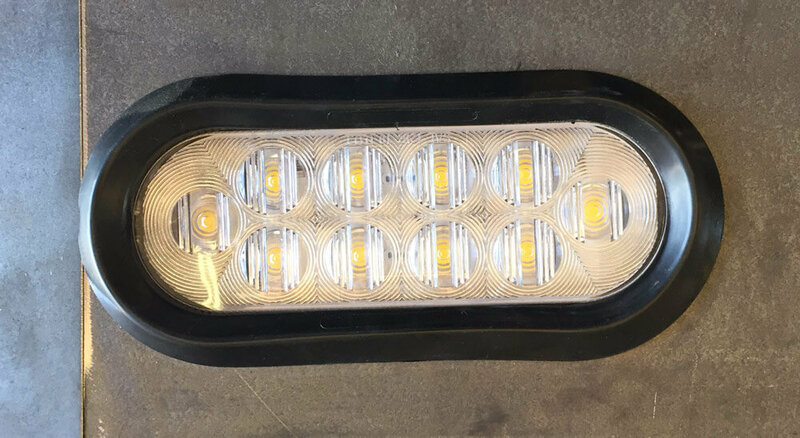 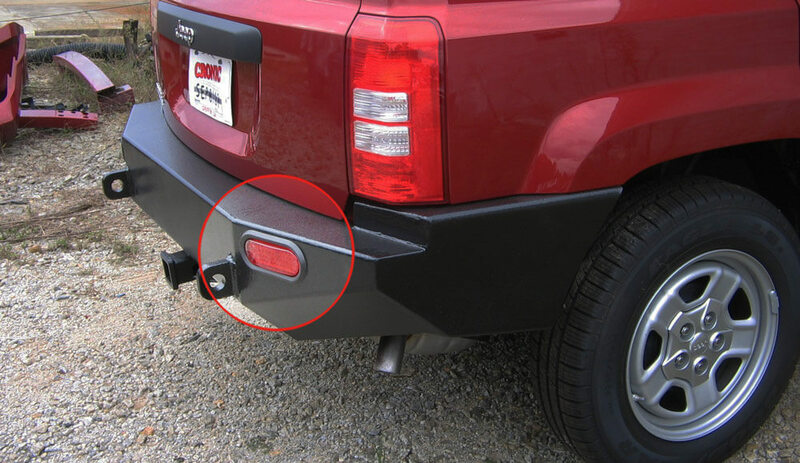 2″ ID or 2.5″ ID with or without chain hooks mounted to bottom of bumper. 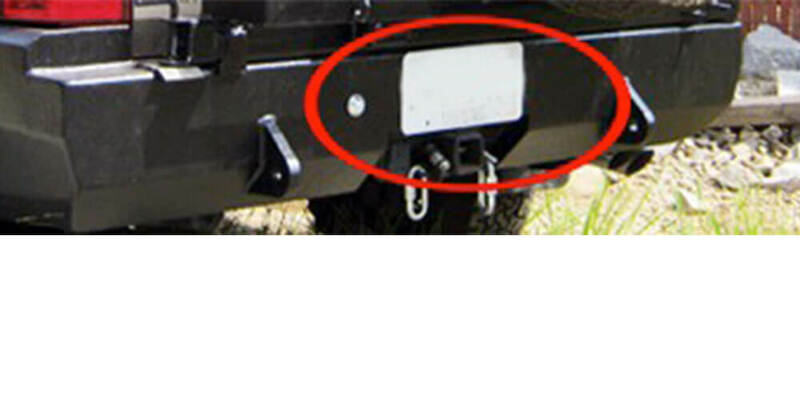 Receiver Hitch 2″ ID or 2.5″ ID with or without chain hooks mounted to bottom of bumper. 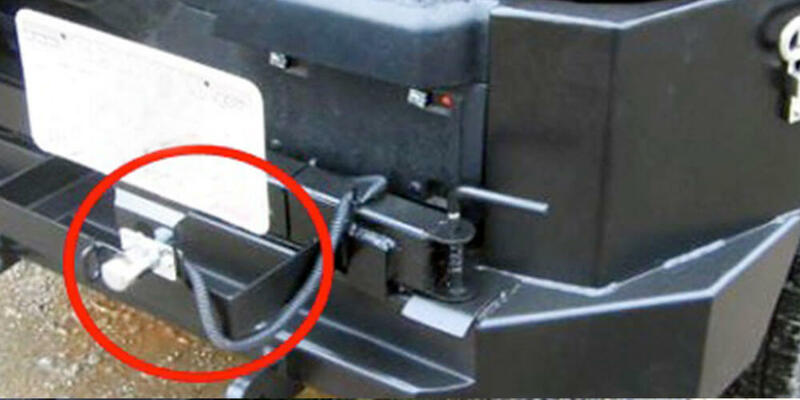 Required if you are getting either the jack carrier or gas can carrier. 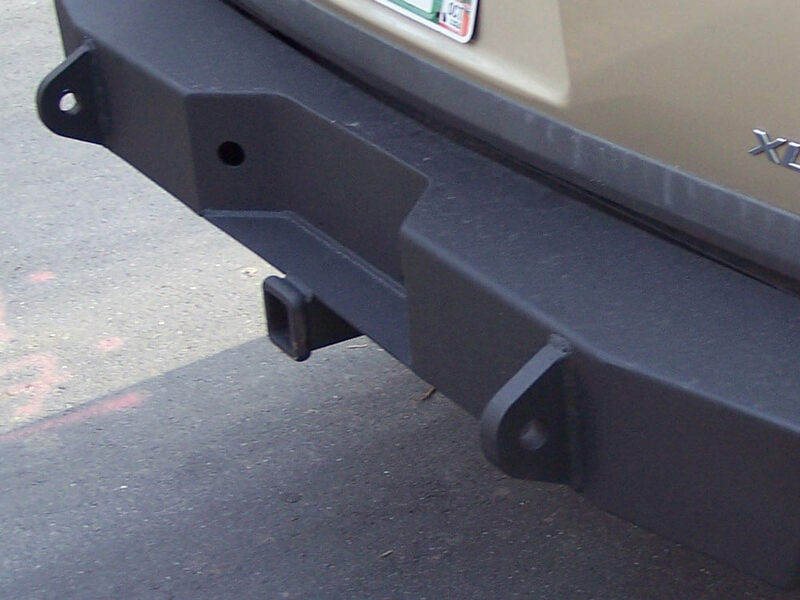 Set up bumper to remount backup sensors. 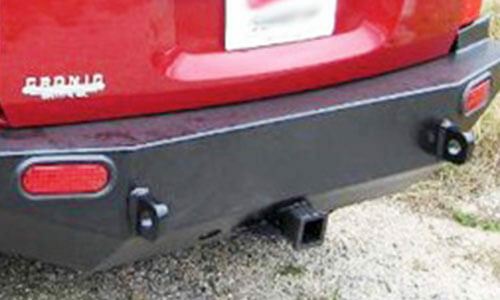 Shown with jack mounted – not included with jack carrier option.